SNAFU! : Half of the F-35's we have aren't flyable...via National Interest. Half of the F-35's we have aren't flyable...via National Interest. 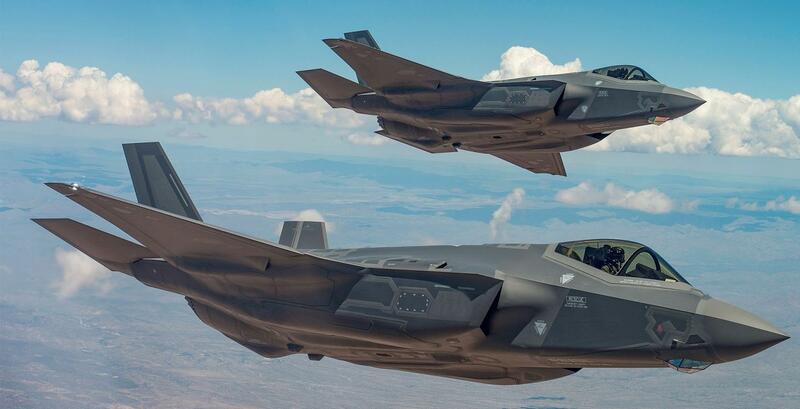 The Pentagon’s new stealth fighter was used in combat for the first time, first by the Israeli Air Force and then by U.S. Marine aviators on an airstrike in Afghanistan . Royal Air Force pilots landed F-35B jump jets for the first time on the U.K.’s aircraft carrier Queen Elizabeth, while F-35Cs designed for catapult-launch from U.S. Navy carriers were test-integrated for the first time in a carrier air wing onboard the Abraham Lincoln in August 2018. On the industrial side of things, unit costs for the standard F-35A model finally began to decline close to the projected $85 million per aircraft, while flight hours costs declined by $12,000. The readiness rate for F-35s in operational units “remains below program target of 60 percent, and well below planned 80 percent needed for efficient conduct of Initial Operational Testing and Evaluation.” Note also that in 2018 Defense Secretary Mattis requested all aviation units boost readiness rates to 80 percent. Worse, there was “no improving trend in fleet aircraft availability,” and the jet was “not meeting interim reliability and maintainability metrics.” Indeed, flaws delayed the F-35’s entry into the IOT&E phase by three months to December 2018—and it was originally intended to begin in 2017. Category 2 deficiencies, of which the F-35 now has around one thousand, are those which may impede successful completion of a mission. The report details faults with all three variants of the F-35, which share only about 20 percent of their components in common between them. Many of these faults were reported in the prior annual evaluation —and remain going into 2019. We've seen this before but to see it all spelled out in an article that is trying its best to be fair and balanced toward the plane is remarkable. One thing the author didn't touch on. This plane has been in development for over a decade. A decade on and its still not working right, they're trying to rush to full rate production and we have entire squadrons of F-35's that aren't worth spit. It will be hard for this program to turn around its unfavorable view. Even worse is the fact that we're buying weapons today for Soldiers, Sailors, Airmen and Marines to use in the future. The analogy goes like this. The Gulf Wars were built on the equipment bought in the 80's. They got it right. Will the General's of today be able to say the same when future warriors go off to fight for this country?